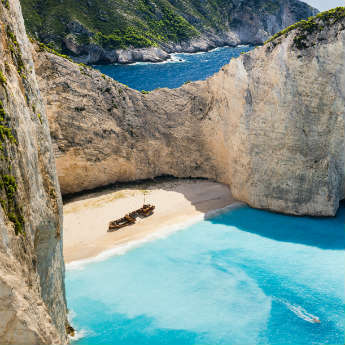 On hearing the term 'Greece holidays', our minds immediately jump to images of deep-blue waves lapping the shores of beautiful beaches and white-washed houses perched on the hills, but the truth is that each island is unique and holds a different appeal. With so many islands to choose from the decision can seem overwhelming, so we’re stepping in to help find the perfect destination for you! 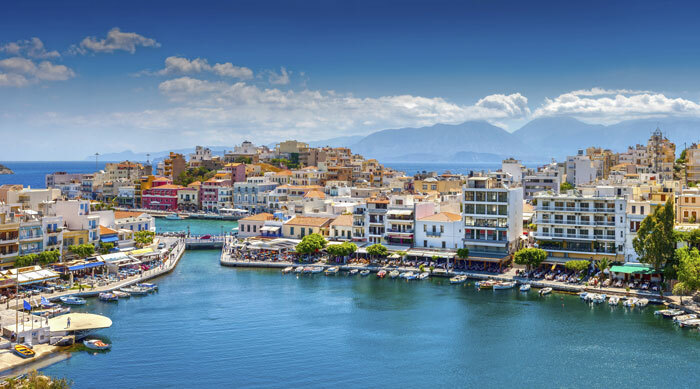 As the largest island Crete has something to satisfy everyone, so it’s a great choice if you want a holiday with a lot of variety. There’s a great balance between the tourist resorts and traditional villages; in resorts such as Malia visitors can find a variety of bars, clubs and restaurants, but if you venture away from the developed areas you can still find local tavernas, deserted beaches and hiking opportunities in the mountains. 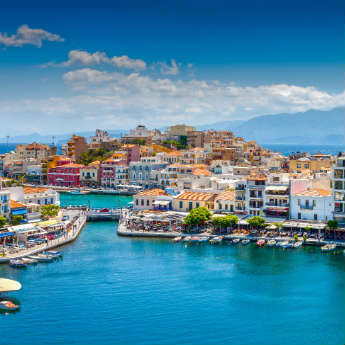 Compare prices on holidays to Crete. Corfu offers a great range of sights and activities to ensure a fun and lively holiday with plenty of diversity. The cultural sites, including ancient forts and a charming Old Town, are numerous, but there are also plenty of beaches and a popular waterpark that ensures a pleasant family atmosphere. Foodies will be in paradise here, as Corfu is said to be home to some of Greece’s most delicious and authentic restaurants. Find the best price on a Corfu holiday. Zante’s main draw is its nightlife, with revellers in their late teens and twenties flocking to the island every summer for a party to remember at unbeatable prices. 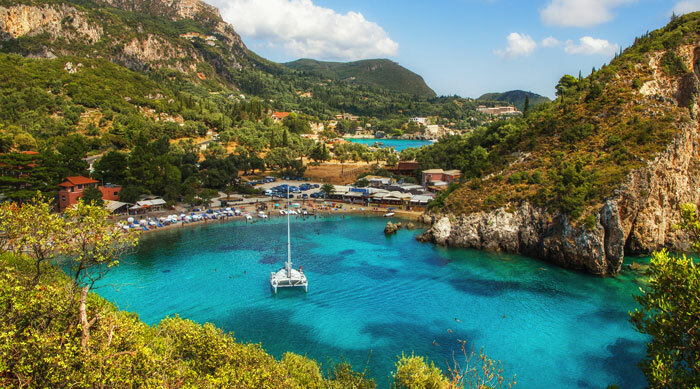 But if you move away from the busy town centres you will discover that there’s more to this island than its wild reputation; the long sandy beaches, mountainous scenery and, most notably, its population of endangered loggerhead turtles are all great reasons to visit Zante. 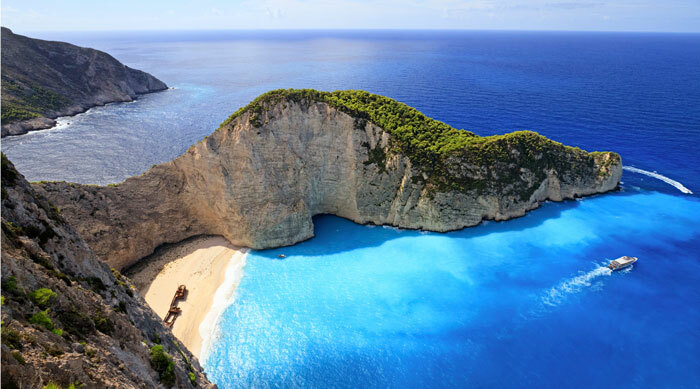 Search for cheap holidays in Zante. Rhodes is the most-visited island In Greece, appealing to couples, groups and families alike due to the wide range of activities on offer. It’s a popular choice for culture vultures; the medieval old town has been granted UNESCO World Heritage status and the island is teeming with ancient ruins, Byzantine churches and museums. But its history is by no means all Rhodes has to offer; there are also beautiful beaches, interesting shops and a lively nightlife. 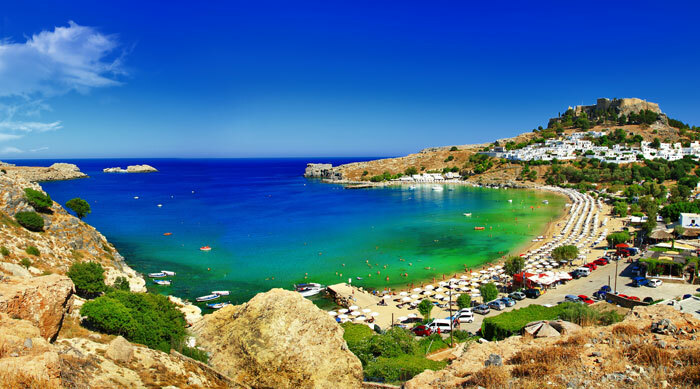 Discover great deals on a holiday to Rhodes. 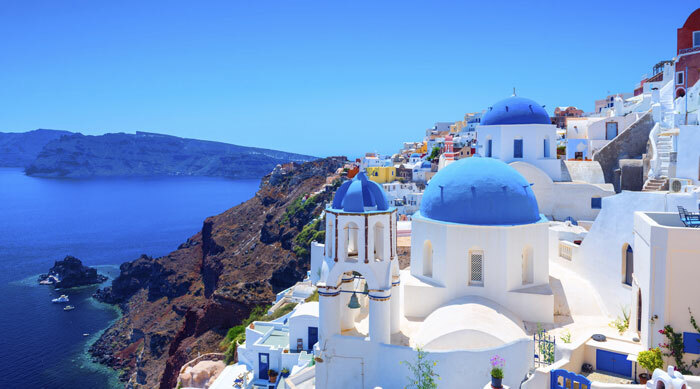 Santorini is the most picturesque of the Greek Islands; the white-washed buildings, cobbled streets and volcanic landscapes take visitors’ breath away on first sight, and the famously beautiful sunsets make it a favourite destination for couples seeking romance. The red and black beaches made from volcanic pebbles aren’t to everyone’s taste, but they make a striking impression against the azure-blue seas, and just add to the dramatic scenery of the island. Get a bargain holiday to Santorini. 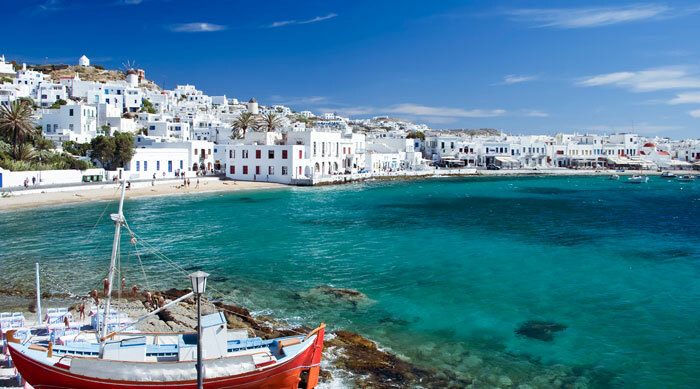 After gaining popularity in the 60s, Mykonos remains one of the most stylish and ostentatious Greek islands to this day. 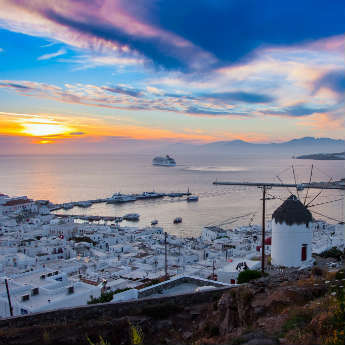 Despite fast and extensive development the towns of Mykonos have managed to maintain some of their old-world charm, but the main streets are lined with bars and clubs that fill to the rafters during peak season. Both the nightlife and beaches are claimed to be the best in Greece, but the prices are among the highest. 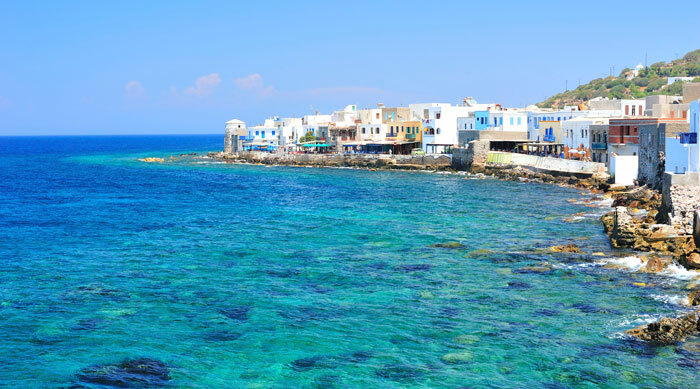 Compare prices on Mykonos holidays. Kos is best known for its lively party scene - many of the main towns are dominated by pubs, karaoke bars and nightclubs that after dark fill up with young visitors looking for a good time. However there are two very different sides to Kos; history-enthusiasts will find plenty of interest at the ancient Asclepion medical complex or at the site of one of the many Hellenic or Roman ruins. Search for great deals on holidays in Kos.